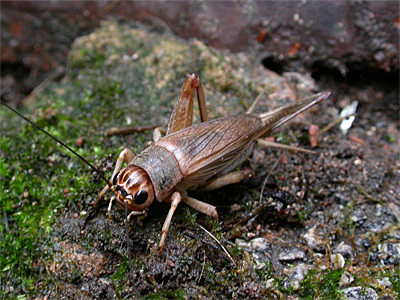 Commonly supplied by the pet trade as live food for spiders and reptiles, the Jamaican Field Cricket is very similar to the House Cricket. 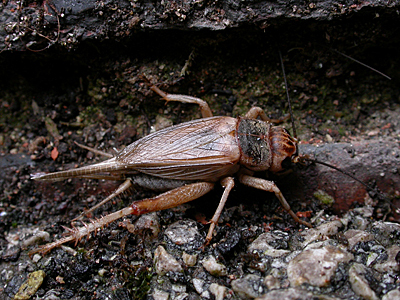 It is most easily differentiated from the House Cricket, by the four dark bands running vertically on top of the head. This species does not occur naturally in the UK, but is likely to be encountered with the popularity of keeping exotic pets.